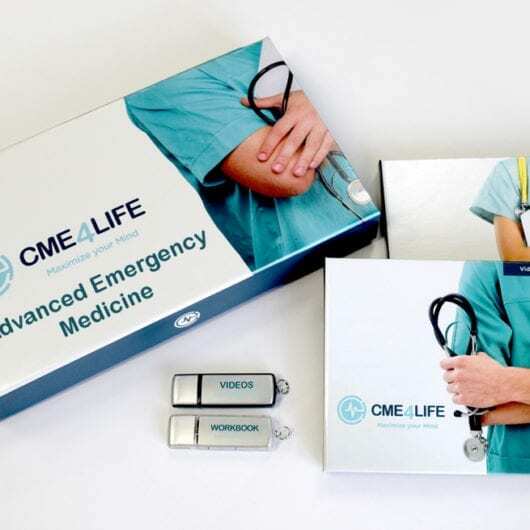 We recently had someone ask us via email what makes us, CME4LIFE, the best board review course. I want to answer this question once and for all. We’re not the best review course. I never claimed to be. We do, however, have our niche and we’re the best in our niche. I didn’t graduate from high school on time. I really struggled in college. I don’t read well and I don’t learn very traditionally. I don’t learn well from an instructor reading PowerPoint slides, or from books. My memory recall from reading was really pretty low. So I know what it’s like to struggle. I have persevered through that. I know how to take complicated material and make it easy to understand. I wish I could take credit for that, but I feel it’s a God-given gift. Now, what makes us the best review course? Bottom line: we’re not. Not for everybody. If you’re getting 160s, 170s on your PACKRAT, you’re going to pass your boards no matter what anybody does. You can’t really screw it up. There are lots of board review courses that are fantastic if you know your stuff. They’ll read you slides and give you good, valid information. If you’re a primary care PA wanting to better your profession, there are lots of board review courses that will make you very knowledgeable. They’ll give you a lot of information. But if you’re scoring 130s on your PACKRAT, you’re in trouble. If you’re studying content that’s not really in your wheelhouse because you’re ortho, derm, OB/GYN or psych, you have to learn some pretty complicated stuff in a way that’s easy to absorb. There’s something Malcolm Gladwell calls information blindness. You get so much information you can’t comprehend it and it’s absolutely useless. If you’re struggling, going, “Boy, I really want to learn this, not just to pass the boards, but to become better at my job,” that’s my niche, my passion, my obsession. It’s my why. Simon Sinek talks about the why. Why do you do what you do? My why is inspiring people to exceed expectations, so they can create the extraordinary lives they deserve. I’m inspired to help you exceed your knowledge expectation, what you thought you’d be able to accomplish. What makes us the best review course? We’re not. We are absolutely not. However, if you’re struggling, then we are the best review course for you. Program directors, what students need your help the most? Is it your students scoring 160s and 170s on the PACKRAT? Of course not. It’s your 130s. I’m an expert, a master at taking people who are struggling a little bit and flipping them around. It’s my passion; it’s what I do. We visit schools for three-day board review courses. After teaching approximately 70 board review courses over the last five years, I’ve found that some schools have specific deficits particular to that school. We want to address this, so we’re making a change to our programming for 2019, which I’m super excited about. About 70% of the course is going to be standard to each review location and encompass five major topics: cardiac, pulmonary, GI, musculoskeletal and infectious disease. Those five topics are huge. Don’t be fooled by infectious disease; it’s not a small percent. Remember, the NCCPA includes infectious diseases within the body systems. Pneumonia is an infectious disease, but it’s included within the pulmonary section of the PANCE. Meningitis is an infectious disease, but it’s counted within neurology. The remaining 30% of our review course material will be customized for the needs of the attendees. Your school’s weaknesses, as determined by the PACKRAT, standardized testing scoring system or the NCCPA pre-test, will be a focus in our course.